Typically, this column will focus on content from Amazon Prime Video Canada, Crave and Netflix Canada, although other streaming services may be mentioned when relevant. After a long hiatus, Amazon’s quirky live-action superhero series returns for its second season. This time around, the Tick and his sidekick Arthur will have to deal with an organization called Aegis tasked with monitoring superheroes, all while trying to stop a new wave of supervillains. The Tick stars Peter Serafinowicz (Shaun of the Dead), Griffin Newman (Blank Check with Griffin and David), Valorie Curry (The Following) and Brendan Hines (Lie to Me). The full list of movies and shows coming to Amazon Prime Video Canada in April can be found here. Another classic movie has landed on Crave, this time in the form of the 1987 iconic romantic drama dance film, Dirty Dancing. Follow the love story of Frances ‘Baby’ Houseman and dance instructor Johnny Castle and get “(I’ve Had) The Time of My Life” stuck in your head all over again. Dirty Dancing was directed by Emile Ardolino (Sister Act) and stars Jennifer Grey (Ferris Bueller’s Day Off) and Patrick Swayze (Ghost). Note that Dirty Dancing requires an additional $5.99 Starz subscription on Crave. DC’s newest superhero show, Doom Patrol, has finally made its way to Canada after being exclusive to the U.S.-only DC Universe streaming service. While Doom Patrol is exclusive to Crave in Canada, it’s important to note that the series is a spin-off of fellow DC Universe original Titans, which is available on Netflix Canada. Doom Patrol takes place after the events of Titans and follows a group of misfit heroes that have to save their leader from the supernatural villain Mr. Nobody. The first two episodes of Doom Patrol are now on Crave, with new episodes hitting the service every Friday. Doom Patrol stars Diane Guerrero (Orange is the New Black), April Bowlby (Two and a Half Men), Joivan Wade (EastEnders), Alan Tudyk (Firefly), Matt Bomer (Magic Mike), Brendan Fraser (The Mummy) and Timothy Dalton (License to Kill). It’s worth noting that Brendan Fraser, while born in the U.S., has Canadian parents and attended a private Toronto boarding school. One of the most controversial comedies of recent years is now on Crave. The Interview, directed by Vancouver’s Seth Rogen and Evan Goldberg, follows two journalists who are set up to interview North Korean leader Kim Jong-un but are swept up in a CIA plot to assassinate him. In many ways, the story surrounding Sony’s comedy film is more interesting than the film itself. The North Korean government threated action against the United States should the film be released, leading many theatres to refuse to play the film. Additionally, a hacker group that the FBI claimed had ties to North Korea hacked Sony and leaked numerous internal emails from high-ranking company officials. The Interview stars Seth Rogen (Superbad), James Franco (Pineapple Express) and Randall Park (Fresh Off the Boat). Note that The Interview requires a Starz subscription on Crave. The full list of movies and shows hitting Crave in April can be found here. The second half of the first season of Chilling Adventures of Sabrina is now streaming on Netflix. The series, based on the Archie Comics character Sabrina Spellman, follows a half-witch, half-mortal teenager who must reconcile her magical abilities while trying to fight off evil supernatural forces. It’s worth noting that the series was filmed in Vancouver. Chilling Adventures of Sabrina stars Kiernan Shipka (Mad Men), Ross Lynch (My Friend Dahmer), Lucy Davis (BBC’s The Office) and Chance Perdomo (Killed by My Debt). The iconic Japanese science-fiction hero gets reimagined for a modern audience in Netflix’s animated Ultraman series. In this iteration, the story follows Shinjiro Hayata, the son of the original Ultraman, as he must rise up to face a new alien threat. Ultraman features the voices of Ryohei Kimura (Kuroko no Basket), Takuya Eguchi (Gosick) and Megumi Han (Final Fantasy XV). An English dub is also available. Unicorn Store focuses on a failed artist named Kit who is given the chance to sell her childhood fantasy — a unicorn — by a mysterious salesman. 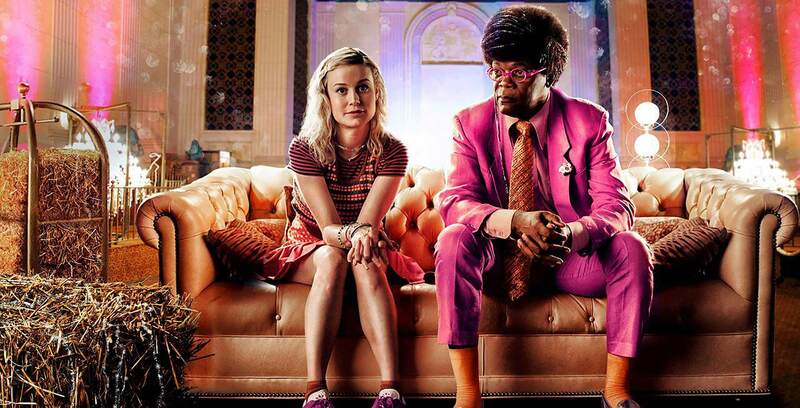 The whimsical comedy film was directed by Brie Larson (Captain Marvel) in her feature directorial debut) and stars Larson, Samuel L. Jackson (Pulp Fiction), Bradley Whitford (The West Wing), Joan Cusack (In & Out) and Karan Soni (Deadpool). It’s worth noting that Larson and Jackson have also co-starred in 2017’s Kong: Skull Island and last month’s Captain Marvel. What are you streaming this weekend? Sound off in the comments!